A solo 401k is a retirement savings plan for a self-employed or sole proprietor business owner (and spouse, if applicable). This individual 401k plan goes by different names including Single(k)®, self-employed 401k, Individual 401k, or one-participant 401k. A solo 401k plan provides all the benefits of a big business 401k plan. Business owners can maximize their retirement contributions, and both contributions and plan expenses are tax deductible. With the Single(k) solution from Ubiquity Retirement + Savings™, a business owner can establish a plan online in minutes for one low fee and start saving today. Ubiquity Retirement + Savings: Solo 401(k) Plans Dylan Telerski of Ubiquity Retirement + Savings discusses Solo 401(k) plans and how they can be useful to owner only businesses. Who qualifies for a solo 401k plan? A self-employed business owner must have earned income from self-employment to contribute to a solo 401k. Self-employment can take any form; however, it does not have to be a full-time business venture. For example, an individual may work full time for an employer and have their own business on the side. Any income earned from the side business would be eligible to contribute to a solo 401k plan. The business establishing the solo 401k can be structured as a sole proprietorship, partnership, or corporation. A one-participant 401k plan is intended for a business without any employees or a business with employees who are not eligible to participate in a 401k plan—for example, those who work fewer than 1,000 hours per year or who are younger than age 21. A business owner has the best of both worlds with a solo 401k. They have the flexibility to contribute as much as they want from year-to-year (up to the standard limits), plus, they do not have to worry about limiting their salary deferrals based on failed nondiscrimination tests caused by employees with low savings rates. They also get all the benefits of a big business 401k, such as tax deductions and loans. Because there are no employees, plan administration is extremely low maintenance. There are no nondiscrimination tests, and business owners are not required to file annual reports with the IRS until the plan reaches $250,000 in assets. One of the most important benefits of a self-employed 401k is the large amount that can be contributed each year, tax-free. To establish a plan for a tax year, the business owner must sign a plan document by the last day of the business’s tax year to contribute for that year (e.g., December 31 for a calendar-year business). The document must be signed by December 31 to make contributions for that year. All contributions must be made by the business’s federal income tax return due date, including extensions. A solo 401k plan follows most of the same rules as a regular 401k plan, with a few exceptions. A business owner has the option to make either pre-tax or post-tax Roth salary contributions. Pre-tax contributions are not included in income when calculating taxable income for the year. Taxes are paid on these amounts, and any investment earnings when the person retires and starts taking an income from their 401k plan. Post-tax Roth contributions are included in taxable income. These amounts are tax-free when distributed from the 401k plan. Any investment earnings on the Roth contributions will also be distributed tax-free if the distribution is qualified. Although solo 401k plans are not intended for businesses with employees, the business owner may want to set eligibility requirements in the plan document in case they add employees at some future date. Care must be taken to not exclude the business owner from the plan if selecting eligibility provisions. Because there are no employees, compliance tests designed to ensure that lower paid workers receive a proportionate share of the plan contributions, do not apply to a solo 401k plan. This simplifies plan operations and lowers administrative costs for solo 401k plans. Solo 401k plans are not subject to most of the annual reporting and participant disclosure requirements that apply to 401k plans covering employees. Once solo 401k plan assets reach $250,000 or more, the owners must file a “Form 5500-EZ, Annual Return of One-Participant (owners and their spouses) Retirement Plan,” with the IRS. 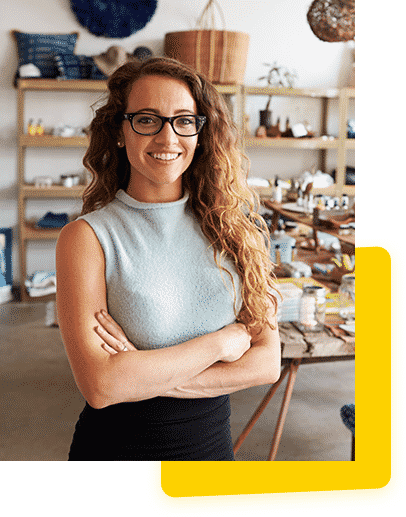 A Simplified Employee Pension (SEP) plan is an IRA-based retirement savings plan also designed for small business owners. A SEP IRA plan is easy to administer and allows a business owner to make tax-deductible contributions up to 25% of taxable compensation (maximum of $56,000 for 2019). Although the annual limit is the same as a solo 401k plan, a business owner would need a higher level of taxable compensation to make the $56,000 maximum SEP contribution as compared to a solo 401k contribution. Moreover, the SEP plan does not have the age 50 catch-up contribution feature which could boost savings to $60,000 for 2019.